History! Tradition! 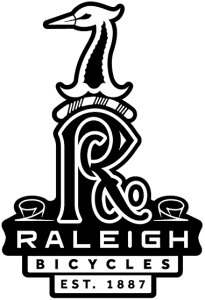 The Raleigh Bicycle Company is a full-line bicycle manufacturer based in Nottingham, England. It is the oldest continually operating bicycle company in the world. It is renowned worldwide for support, reliability, and durability at a spectacular price point. Abuse them all you want, they will laugh and ask for more. They will loyally serve and then await being handed down to bring joy to your future generations. Check out our “Steel Armory” for Vintage Builds, we LOVE these things! We carry many models, but can have almost anything in the Raleigh Catalog built and ready to deliver to you within two days! 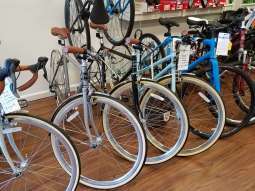 La Brea Bike Works is a full service Bicycle Shop within a minutes walk from the La Brea Tar Pits, CBS’ Television City, Park LaBrea, and the Los Angeles Farmers Market. 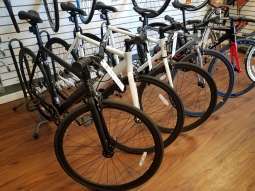 We are your Los Angeles source for the iconic Eddy Merckx and Ridley Bicycle brands, and also proudly carry the ever durable and venerable Raleigh. Can't say enough good words about Michael, Derrick and LaBrea Bike Works. They are so professional, honest, kind, knowledgeable and an absolute delight to work with. I bought my Raleigh mountain bike from them and I couldn't be happier with the purchase. 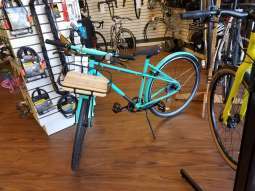 I've tried other bike shops, bigger and smaller, and this one is the best. The bike is awesome and their service was even better. I will be a loyal customer for life. Thank you my new friends ! Great old school local bike store. Dont be fooled by the small space - awesome service from friendly pros. Wow! Michael was so helpful. I called the night before about their concierge service (bike pick up/drop off within 1 mile), and set a time frame with him to pick it up. Michael was gone for only 20 minutes before he was back with my bike all fixed (my handle bars were loose)! He showed me how to fix it for myself for next time as well. I HIGHLY recommend, and will definitely be coming back for any and all bike needs. This place is the best! I do bike deliveries and I'm so happy they're in my neighborhood. Derek is always so helpful and knowledgeable. I truly consider him my guardian angel from the heavens! Derek is a superstar !! Between him and Mike they run the best bike shop in LA hands down and I have been to a few!!! They are so proficient, so genuine and so friendly! They go above and beyond in their service of your bike and I honestly could not recommend them highly enough! Since this shop was taken over in October my bike feels brand new. Mike and Derek are the best and I trust them with my beautiful bike like no one else. 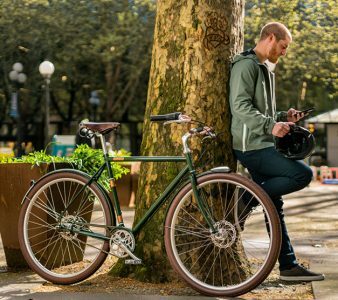 If your looking for a place to take your bike for a repair or even to buy a new one! PLEASE come here! !